Celery seed (Apium graveolens) is a natural substance sold in dietary supplement form. Long used in certain systems of alternative medicine (such as Ayurveda), celery seed is said to aid in the treatment of a broad range of health problems. While research on the health effects of celery seed is limited, the seeds of the celery plant are known to contain a number of substances that may influence health, including a variety of antioxidants and anti-inflammatory compounds. 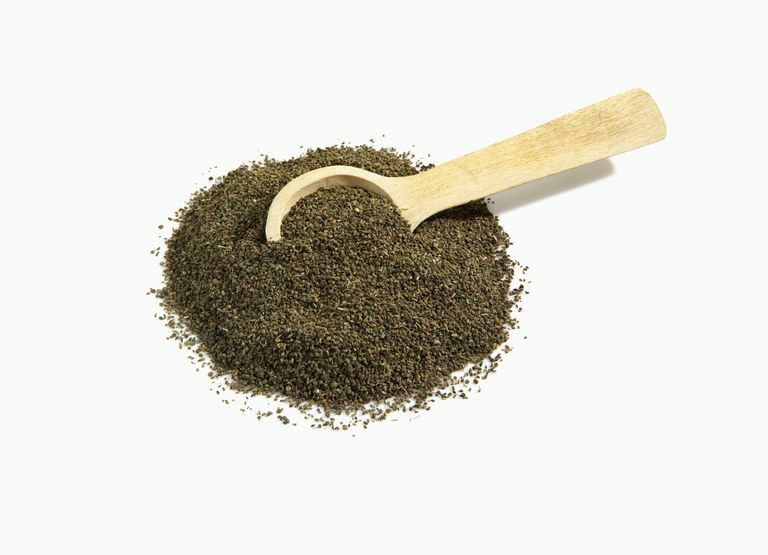 In addition, celery seed is said to stimulate digestion and enhance liver health. It's also said to act as a diuretic (i.e., a substance that helps increase the flow of urine). Celery seed shows promise in the treatment of high blood pressure, according to a preliminary study published in the Journal of Medicinal Food in 2013. In tests on rats, the study's authors observed that treatment with celery seed extract lowered blood pressure in animals with elevated blood pressure, but had no effect on those with normal blood pressure. Some research indicates that celery seed extract may possess anti-cancer properties. This research includes a rat-based study published in Cancer Letters in 2005, which found that celery seed extract helped thwart the development of liver cancer. Additionally, a study published in the Asian Pacific Journal of Cancer Prevention in 2011 found that celery seed extract may help fight stomach cancer. In the study, tests on human cells demonstrated that celery seed extract may inhibit the spread of stomach cancer in part by inducing apoptosis (a type of programmed cell death essential for stopping the proliferation of cancer cells). Although little is known about the safety of long-term or regular use of dietary supplements containing celery seed, there's some concern that this remedy may be harmful to people with kidney inflammation. In addition, celery seed may interact with a number of medications, including blood-thinning drugs, diuretics, lithium, and thyroid medicine. If you're currently using any of these medications, make sure to consult your physician prior to taking celery seed supplements. A major risk factor for heart disease (the leading cause of death in the U.S.), high blood pressure can be managed by following a balanced diet low in sodium and saturated fats, maintaining a healthy weight, limiting your alcohol intake, exercising regularly, avoiding smoking, and practicing stress-reducing mind-body techniques. For more help in keeping your blood pressure in check, there's some evidence that natural remedies like garlic and omega-3 fatty acids may be beneficial. In addition, maintaining optimal levels of vitamin D and drinking green tea may help control your blood pressure. Celery seed extract is sold in dietary supplement form in many natural-foods stores and other stores specializing in natural remedies. You can also purchase celery seed supplements online. Due to the limited research, it's too soon to recommend celery seed as a treatment for any condition. It's also important to note that self-treating a condition and avoiding or delaying standard care may have serious consequences. If you're considering using it for any health purpose, make sure to consult your primary care provider first. Gao LL, Feng L, Yao ST, Jiao P, Qin SC, Zhang W, Zhang YB, Li FR. "Molecular mechanisms of celery seed extract induced apoptosis via s phase cell cycle arrest in the BGC-823 human stomach cancer cell line." Asian Pac J Cancer Prev. 2011;12(10):2601-6. Moghadam MH, Imenshahidi M, Mohajeri SA. "Antihypertensive effect of celery seed on rat blood pressure in chronic administration." J Med Food. 2013 Jun;16(6):558-63. Momin RA, Nair MG. "Antioxidant, cyclooxygenase and topoisomerase inhibitory compounds from Apium graveolens Linn. seeds." Phytomedicine. 2002 May;9(4):312-8. Sultana S, Ahmed S, Jahangir T, Sharma S. "Inhibitory effect of celery seeds extract on chemically induced hepatocarcinogenesis: modulation of cell proliferation, metabolism and altered hepatic foci development." Cancer Lett. 2005 Apr 18;221(1):11-20.